Time Out came to Summer Screens and asked if we could develop a floating cinema on the Thames in London. The concept was simple, watch a movie under the stars on the top deck of a boat, after a cruise along the Thames past some of the worlds most famous sights. After much planning, head-scratching and development, Summer Screens made Time Outs idea a reality with Movies on the River, London’s first ever cinema on the Thames. 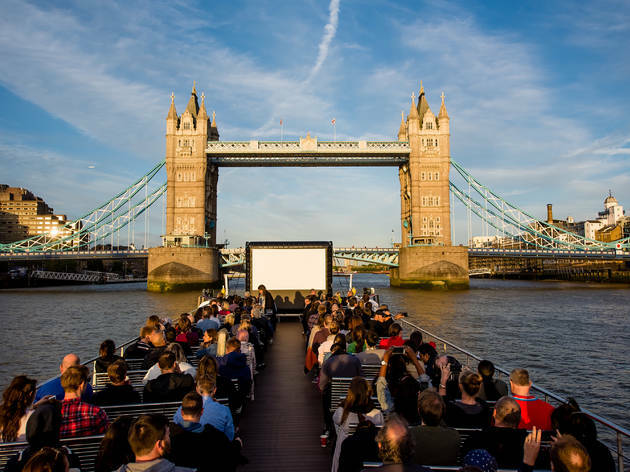 For five nights a week from mid-June to early September, the cinema offered a food and drink-fuelled sunset cruise from the Tower of London, and once the sun disappeared, we showed classic films on the open-air top deck in the shadow of some of London’s most awe-inspiring sights.